I taught communication and humanities courses at UW-Madison for 6 years, and began teaching at Southern Connecticut State University in the fall of 2018. I started using drawing in the classroom after studying with Lynda Barry and never ever looked back. 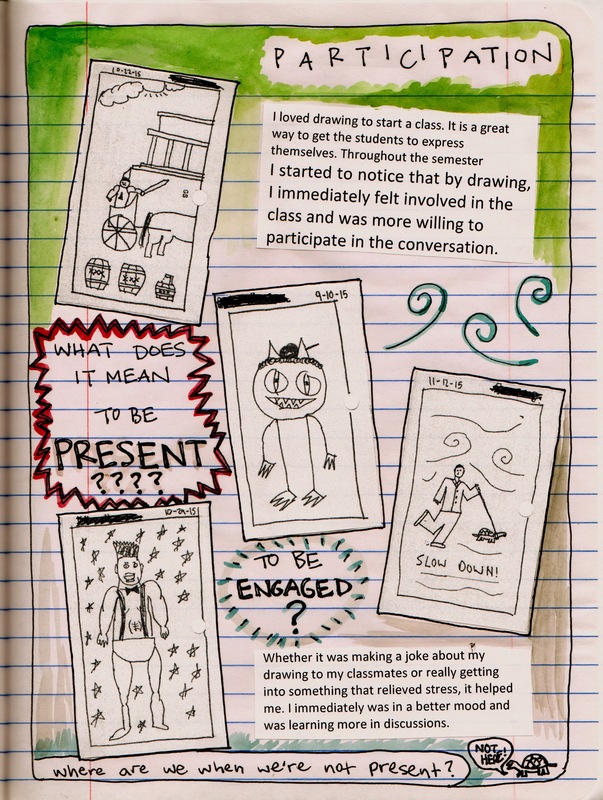 I found that implementing a short drawing practice into each class meeting increased student engagement, attendance, and course evaluations exponentially; many students now report that drawing helped open them to new ideas, bond with each other, discuss controversial topics with greater ease, and communicate more fully. And it makes class fun! Read some of their testimonials here. Here’s a sample syllabus page. Making the syllabus into a comic tricks students into actually reading it! Here’s a comic on using drawing in the classroom.